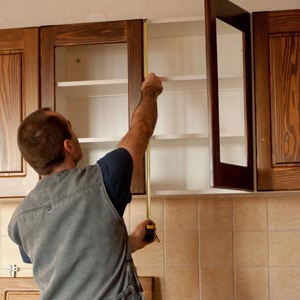 If you are tired of your outdated or poorly functioning kitchen space and are ready for a change, call RB Painting Plus for your remodeling needs. We exceed expectations every day! We are experts in the fields of design and remodeling. We will skillfully guide you through some of the most important home improvement decisions you can make. We will assist you with your kitchen equipment selections, incorporate your ideas, and translate them into a design plan that is uniquely yours. Complete familiarity with your renovation project is the key to a successful outcome. RB Painting Plus will provide you with professional project management and precise coordination of all aspects of your project. We are with you from design through installation. Our efficient and organized approach keeps costs down and reduces the time necessary to complete the work. By taking advantage of our full range of services from start to finish, it minimizes the stress of remodeling your kitchen and ultimately saves you money. Great kitchens don’t just happen, they’re carefully planned. At RB Painting Plus, we take into account all the variables of kitchen remodeling- space, budget, taste, and lifestyle, down to the last detail, planning and executing the perfect room for you and your home, from design through installation. We are proud that since 1985 our design team and master craftsmen have worked with numerous clients throughout the area to help them realize their dream custom kitchens—on time and on budget. for an appointment so we can give you the time that you and your kitchen remodeling project deserve.